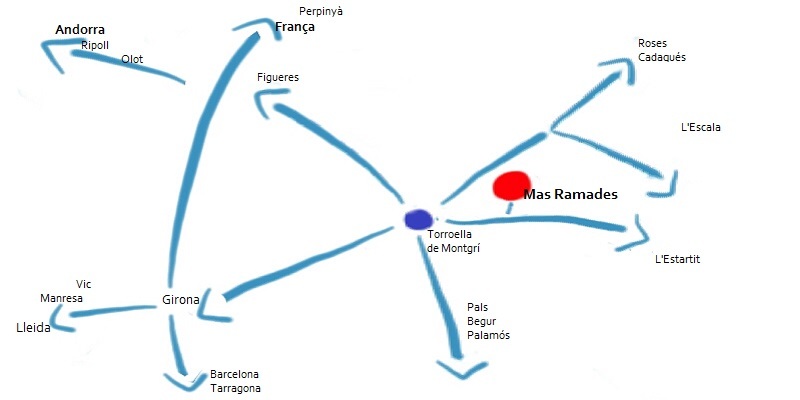 Mas Ramades opened its doors in 2008, we are a nearby and familiar rural House. Our team is small, but this is the less important thing. Our goal is to make your stay the most comfortable as possible, and if we succeed we are calm. We love nature, family, celebrations and good taste. And if you are thinking in something different and original, listen the advices and proposals that the team can give to you. We know the area perfectly and we always can give you an advice related with the incredible activities you can do, considering your interests. Do not hesitate to ask for the house, the farm, rooms, services, or for our proposals in the "Restoration Spaces" on demand, we can help you organize your summits, lunches, parties, banquets, tastings and other events of cuisine or entertainment.